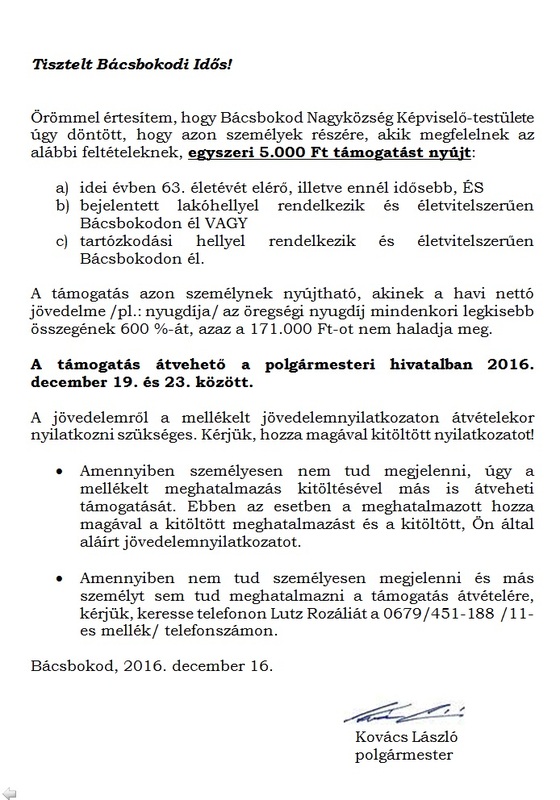 KÖSZÖNTJÜK BÁCSBOKOD NAGYKÖZSÉG HONLAPJÁN! KELLEMES IDŐTÖLTÉST, JÓ BÖNGÉSZÉST! 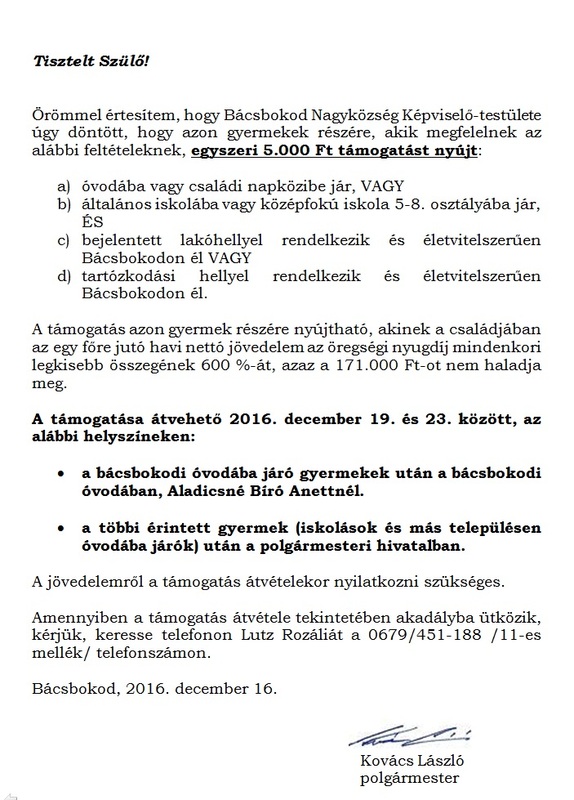 5000 Ft TÁMOGATÁST HAGYOTT JÓVÁ A TESTÜLET AZ IDŐSEK RÉSZÉRE. 5000 Ft TÁMOGATÁST HAGYOTT JÓVÁ A TESTÜLET A GYERMEKEK RÉSZÉRE.